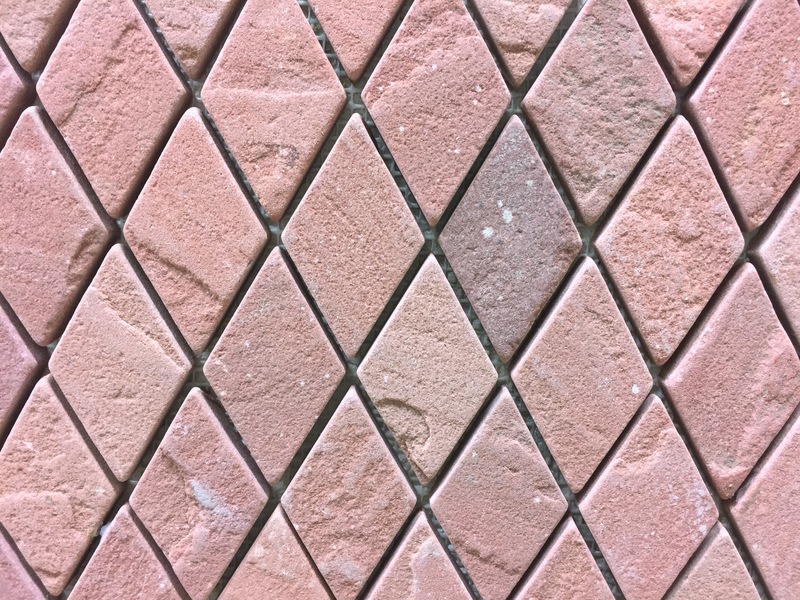 Natural Sandstone mosaic diamond shaped mosaic gives a bit of that rustic natural stone feel. It’s a little bit of that warm southwest desert feeling. We recommend sealing natural stone in wet areas for ease of cleaning.